A consultation event on plans for a new secondary school, which could be built on the site of the current police headquarters, is due to be held later this month. Wootton Park School is a proposed all-through free school, for pupils aged four to 19 years old, which plans to open in the NN4 postcode region of the town in September 2016. The opening of a new free school, which will be non-fee paying and non-selective, is supported by Northamptonshire County Council as it will make a significant contribution towards meeting the need for extra primary and secondary school places. The school will open with two Reception classes (60 places), two Year 1 classes (60 places) and four Year 7 classes (120 places). The school plans to admit two Reception classes and four Year 7 classes each year thereafter, reaching full capacity of 1260 pupils when the first pupils reach Year 13 in 2022. A total of 10 per cent of places at the school will be allocated to students who qualify for the pupil premium. 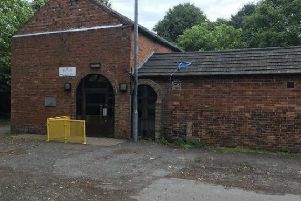 No definite site has been announced for the school but Police and Crime Commissioner Adam Simmonds said he was carrying out “feasibility” studies on the future of the police headquarters at Wootton Hall. The public consultation events on the Wootton Hall school projects will be held at Danes Camp Leisure Centre, Clannel Road, Hunsbury, Northampton on Tuesday, July 14 from 6pm to 8pm and Monday, September 7 from 1pm to 3pm. The consultation period runs until Friday, September 11. For more information go to http://www.woottonparkschool.org.uk/consultation/.